Residents attending a public inquiry on February 2 at Wests Ashfield into the New South Wales government's plan to amalgamate Ashfield, Leichhardt and Marrickville Councils were of one mind: they opposed it. About 50 people spoke in the afternoon session, and only 5, including Ashfield Liberal councillor Julie Passas and a self-described businessman, supported the plan. Similar meetings were organised at Sandringham, Bankstown, Manly, North Sydney, Parramatta, Mona Vale, Deniliquin and Shellharbour and more will take place over the next fortnight. Bernie Sanders speaks to supporters after the Iowa caucus. In a speech to supporters on the night of February 1, after the narrowest of losses to Hillary Clinton in the Iowa caucuses,, self-described democratic socialist candidate in the Democratic primaries Bernie Sanders hailed his strong result as the "launch of a political revoluiton". “This year has not started easy, and I am not optimistic,” the EU Commissioner for Migration, Dimitris Avramopoulos told a press conference on January 25. Vermont Senator and Democratic presidential candidate Bernie Sanders called for a “political revolution” while Hillary Clinton emphasised pragmatism and experience in the final town hall meeting before the February 1 Iowa caucuses, TeleSUR English said on January 26. Slogan on T-shirts reads, "We will not obey". 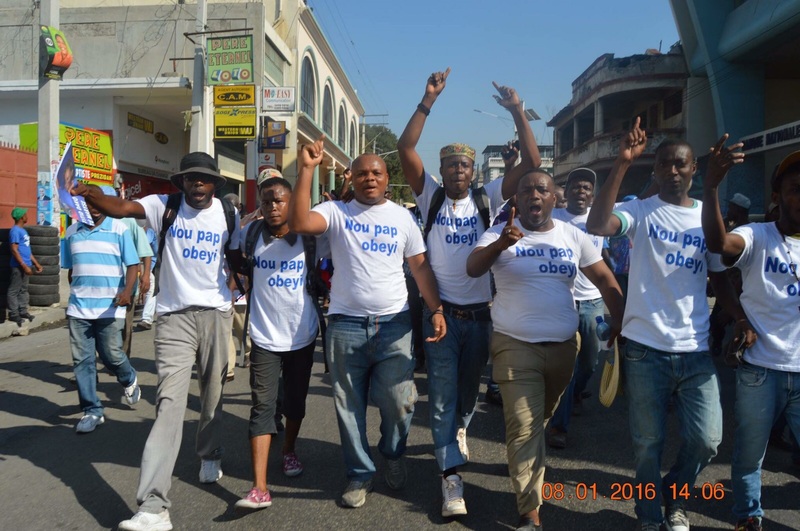 Sixty-eight grassroots groups in Haiti have issued an urgent call for solidarity with their struggle for free and fair elections, dignity and justice. The statement was written right before the postponement of the planned presidential “run-off” elections on January 24. Venezuela's President Nicolas Maduro has announced the establishment of a committee to oversee the creation of a revolutionary assembly on January 23. The assembly will bring together the country's progressive social movements and socialist politicians to reinvigorate the Bolivarian revolution, Maduro said. Maduro oversaw the first meeting of an interim committee, which will lead to the creation of the broader people's congress, being called the Congress of the Homeland. About 100 people were sworn-in to the committee. “We must reach out the hand of humanity to the victims of war and brutal repression,” Labour Party leader Jeremy Corbyn said during a visit to the Gande Synthe refugee camp near Dunkirk in northern France. The fact sheet below was produced by the ecosocialist Red-Green Alliance in response to the Danish parliament passing a savagely anti-refugee law. On January 26, a broad majority in the Danish parliament passed a bill that introduces a long series of restrictive measures aimed at making it less attractive to seek asylum in Denmark. 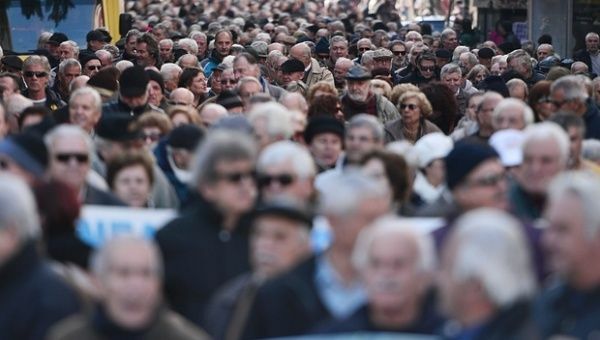 Greek pensioners rally in Athens on January 21. Thousands of Greek white-collar professionals, including doctors, lawyers and engineers, took to the streets on January 21, protesting against major tax and pension reforms required by the country’s creditors.